One of the most important pieces of jewelry you will ever buy, own or wear is an engagement ring. But when it comes to the shape of a stone, it’s really a matter of personal taste. However, you will have to take a few things in to account. The setting, or mounting of a diamond for instance, will play a role in how the gem looks on a woman’s hand. Certain settings can also enhance the shape of a stone better than others. Here is a look at some common diamond shapes. This is by far the most popular of all the stones and it’s estimated that 75% of diamonds are round brilliants. In addition to being the most popular, a round stone will give you more flexibility in terms of color, cut and clarity grades and you will still the fire and brilliance you want. To maximize the brilliance of this traditional gem, choose one of the highest cut grades, ideal or very good. For polish and symmetry grades, choose very good, ideal or excellent. Also very popular, an oval shaped diamond has a brilliance that is similar to a round brilliant. The oval style will add length to shorter fingers and can additionally accentuate long, slender fingers. This elliptical shaped gem looks stunning by itself or as a 3 stone anniversary ring with 2 matching side stones. This type of stone has pointed corners and is traditionally cut in a square. The princess has exceptional refractive properties and almost as much sparkle as a round brilliant. 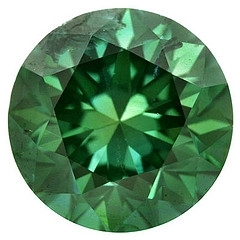 When choosing a color grade, it should be noted that while a J color non-round gem may be very well priced, color may be slightly visible in it’s corners. The emerald style is rectangular with trimmed corners. Of all the diamond shapes, this one is unique because of it’s pavilion. It is known as a step-cut because it’s rectangular facets create an optical appearance that resembles stair steps. The emerald is best for virtually flawless diamonds because it’s larger, open table will highlight the clarity of a stone. This uniquely beautiful gem is almost identical to the emerald cut, except that it is square. Like the emerald, it also has clipped corners and rectangular facets in the same style. Recently, the asscher has become quite popular. This stone is perfect for those who are hopeless romantics. It is said that the marquise cut was created by Louis XIV who wanted a diamond which mirrored the smile of the Marquise de Pompadour. The marquise resembles an oval with pointed ends, and because of the shape, it can give you a much larger looking diamond by maximizing carat weight. The marquise style looks best when set with round or pear shaped side stones. Because of it’s length, this style can make fingers appear long and slim. Also called a tear drop or pendeloque, this style is a combination of the oval and marquise. The pear has fairly good proportions to refract light well and is especially beautiful when used for pendants or earrings. Because of it’s elongated shape, this hybrid diamond will create a slimming effect on the fingers and additionally complement those with small hands. This is the ultimate symbol of love and is another favorite for those romantics. Hard to find due to the low demand, this style is more of a novelty and not commonly used for engagement rings, except for the select few who prefer to wear their heart on their fingers. The heart looks exactly as it sounds, but is really a pear with a cleft at the top. Because it can be hard to execute this cut, be sure to thoroughly examine this stone for hidden flaws before purchasing. Choosing the right style is critical for a beautiful and treasured ring. By understanding the differences between the diamond shapes and what preferences you or your bride to be have, it will be easy to pick the perfect stone. Shopping for that special diamond can be both time and energy consuming. This is why many people now choose to buy diamonds online. Contrary to popular belief, it is actually safe to purchase your diamond jewelry off the internet. You can save yourself hundreds, if not thousands of dollars. For more resources on the safety of buying diamonds online, Click Here to see what you could be missing out on. This entry was posted in Glittering Diamonds and tagged &, auction, spessartite, tanzanite, weddingfever on December 5, 2009 by admin.